Want to Know More About Commercial Co-Insurance? 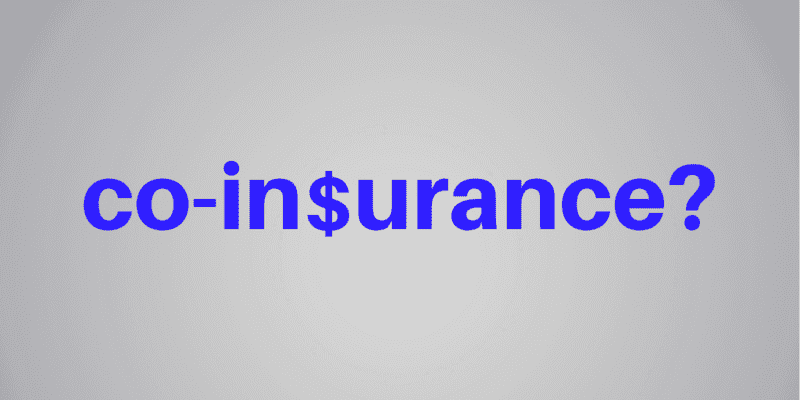 Co-Insurance is one of the most misunderstood and confusing concepts in insurance. It is a fundamental principle of property insurance and we would like to help you understand by explaining co- insurance and how it works. Co-insurance is an agreement between you and the insurance company whereby you agree to maintain coverage up to a stated percentage of the value of the property you wish to insure (Usually 80% or 90%). As a result of this promise, a significant concession in the rate is given. Should a loss occur, consideration is then given to the amount of insurance carried compared to actual cash values or replacement cost new prior to a loss. If the amount of insurance is within the agreed co-insurance percentage requirement, the loss is paid in full, up to the policy limits. If, however, the amount of insurance you carry is below the agreed percentage, you and the insurance company then share the loss. It is important that the coverage limits on your commercial or rental properties are adequate to protect you fully in the event of a loss. As an example, a commercial building with a value of $500,000 with an 80% co-insurance clause must be insured for $400,000 to meet the policy requirements. If the policyholder only purchased a coverage limit of $300,000 and were to suffer a $100,000 loss, the insurance company would only be required to pay $75,000 of the loss. The claim payout would be reduced by the percentage that the risk was underinsured. Building owners may want to obtain a professional appraisal to determine the actual cost to rebuild to ensure their coverage limits are adequate to meet the co-insurance requirement of their policy. A co-insurance clause may also apply to other sections of your commercial policy such as Rental Income, Equipment and Contents. If you have any questions or concerns about business insurance, coverage limits, or other commercial or personal insurance matters, contact us at Morison Insurance and Tri-County Insurance. We’re here to help!